Travel theme: Distance | Where's my backpack? I’m writing this week’s travel theme from a porch on a hot summer’s night near Charleston, South Carolina. Tomorrow I set off on a long distance road trip – the destination is Seattle but I’m going the long way round, hoping to take in a few National Parks along the way. Crickets and bullfrogs are filling the sultry night air with noise and suddenly, Seattle seems very, very far away. Before I set off on the adventure, however, here are a few distant objects I’ve photographed on my travels. 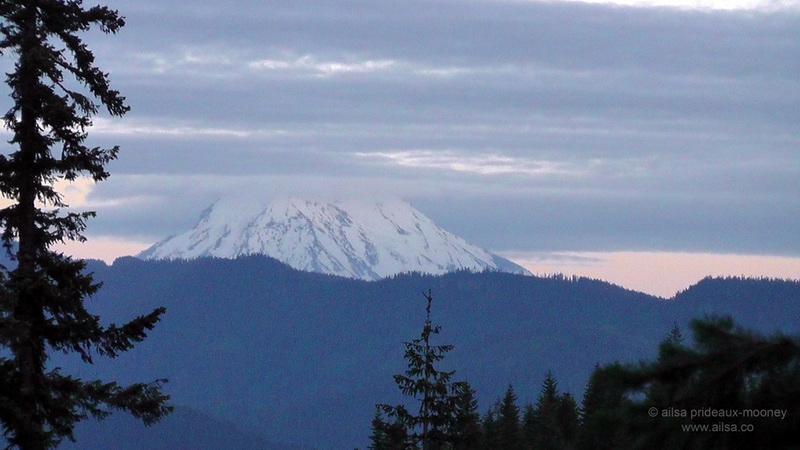 First up, a snow-capped Mount Adams, taken from Mount Rainier National Park – over 50 miles away; it still looms large. Exploring the shores of Guatemala’s Lake Atitlan, I spotted a couple of boatmen off in the distance. 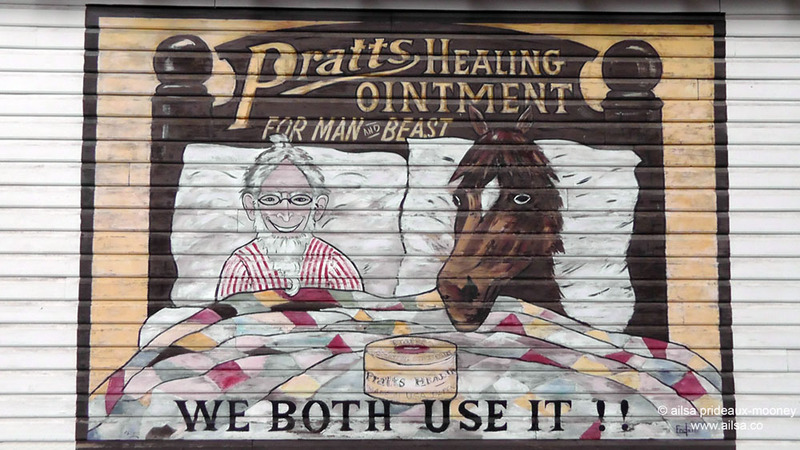 A humourous advertisement for a medication from the distant past, painted on the side of a building in the Wild West town of Winthrop, Washington. A flashy swathe of tulips in Skagit Valley almost manage to upstage the dramatic peaks of the Cascade mountains off in the distance. New York is so big, sometimes it can help to get a little distance. Manhattan looming out of the fog, taken from the Hoboken shore. Don’t forget to subscribe to keep up to date on the latest weekly travel themes. Sign up via the email subscription link in the sidebar or via RSS. I’m looking forward to seeing your far-flung posts which will keep me reading and dreaming of distant places on my upcoming trip. This entry was posted in Photography, Travel, Weekly Travel Themes. Bookmark the permalink. Hey Ailsa! What are you doing in my backyard??? Wish I’d known, would have loved to meet you and show you the places only the locals know LOL. Have a great trip! Breathtaking photos thanks for sharing. I love the mountain shots! A fun one. Tried to think about a way to picture my initial thought of far vs distant, but couldn’t think of a way. Stuck with a more traditional interpretation instead. Magnificent collection here, Ailsa! Impossible to pick out favourites, though my eyes did get drawn back to Manhattan in the dark. Beautiful photos, I love the tulips… ok, going into my archives… would the moon also count as distant? Loved the tulips! Ever looked at your home from a distance? Pingback: Travel theme: Distance | So where's the snow? That old man is smiling way too hugely considering he has a horse in bed with him. . .
Great photos, as always. have a safe trip. Oh I love the tulips. Here is my entry for the week! ENJOY! Beautiful pics…love, love, love the tulips! Oh the colors! Love you photos and theme. The advertisement is the cutest! Beautiful pics…I love the tulips!!! Pingback: Distance – Ailsa’s WTT… | Ouch!! My back hurts! !